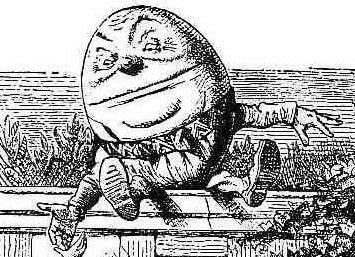 Did you k now that Humpty Dumpty, who sat on a wall, was not a person, or even a genetically modified gigantic egg, but a very large canon! 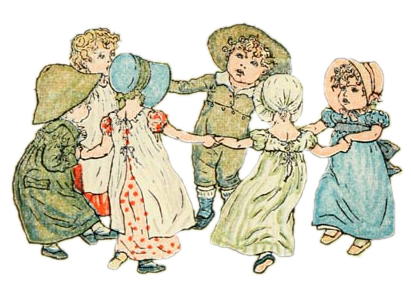 Looking into the history of nursery rhymes that bring cherished memories of innocent childhood can be quite shocking. Many rhymes had cleverly disguised lyrics to parody royal and political events, especially in times when direct dissent was often punishable by death. Humpty Dumpty was strategically placed on a wall during the English Civil war and managed to wreak much havoc to the advancing enemy forces, until an enemy canon managed to destroy the wall that he sat on. In haste, the Royalists or all the Kings men as they were called, tried to move Humpty to another wall, but couldn’t put Humpty together again, because he was so heavy, leading drastically to the fall of the Royalists to the Parliamentarians. The rosy-red ring-shaped rash was a symptom of the dreaded Bubonic Plague of England. Pocket full of Posies, referred to the sweet smelling herb Posy, that was carried around as people assumed that it was bad smells that spread the plague! A-tishoo, A-tishoo was how the poor victims violently sneezed before they all fall down, or to put it more indelicately, die. 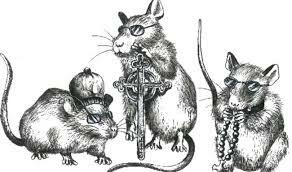 This is a tale one of three noblemen who ran out of favor of Queen Mary I for being blinded by their Protestant beliefs. She was the wife of King Philip of Spain, who possessed massive estates and thus became the farmer’s wife. And although the queen did not cut of their tales with a carving knife, she did take great delight in burning them at stake. Her Majesty’s violent persecution of Protestants gave rise to many more enchanting rhymes on ‘Bloody Mary’ as she was popularly called. This delightful tune that conjures idyllic images of pretty little English girls dancing about in lovely gardens with silver bells and shells, could easily win the spot for ‘most gruesome’. 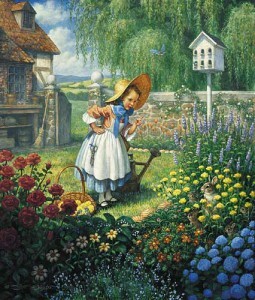 Mary’s garden alluded to graveyards that grew with the bodies of protestant martyrs. Silver bells were thumbscrews used to crush a thumb with a tightening screw and cockleshells were instruments of genital torture. And the Pretty Maids? The first guillotine, a mechanical instrument used for execution, was nicknamed Maiden. So isn’t Mary quite Contrary (which is one way to describe a psychopath). Admit it. 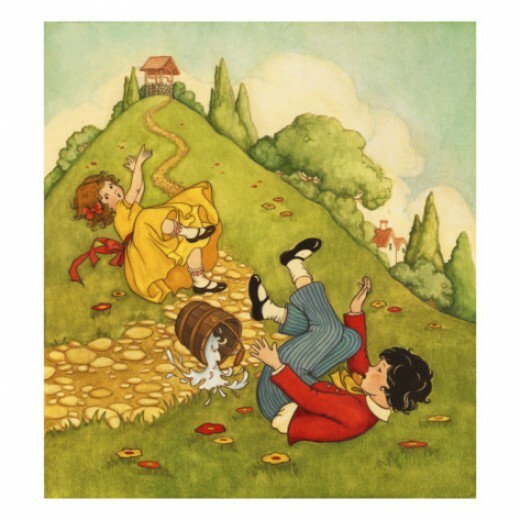 Didn’t we all think that Jack and Jill went up the hill to do the dirty? An interesting theory, is that it was Louis XVI of France who broke his crown because his head rolled down, and it was his wife Queen Marie Antoinette whose head came tumbling after, but Jack and Jill was in fact written much earlier. The actual reason seems to record King Charles I’s attempt to increase taxes on liquid measures, which was thwarted by a parliament veto. Wily Charles still made sure he got greater taxes by bringing down the volumes of liquids, first by half a pint, nicknamed Jack and indicated on a pint-glass by a crown. And eventually by Gill, or quarter of a pint, who thus came tumbling after. Cheers! Peter Peter Pumpkin Eater – Had a wife and couldn’t keep her. A nice song on infidelity. So what does Peter do? Put her in a pumpkin shell, and there he kept her, very well. A gruesome murder, actually. Baa Baa Black sheep – A depressing tale on wool tax and its division after the crusades by Edward I. One third the price of a sack to the master (the king), one third to the dame (the church), and as the original went, none for the little boy who cries down the lane (the shepherds who tend the flock who get nothing). 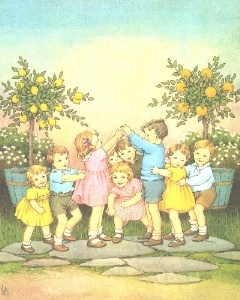 Oranges and Lemon – The one where kids file through the arched hands of a pair of children, and ends with their falling hands trapping the other kids? The falling hands emulates head chopping. In short, child sacrifice. Shocking but Interesting. reminds me of Kunjan Nambiar verses. All new information. Nicely written. I enjoyed reading it.